Millions of people search every month for cheap web hosting every month. I know that because I have the tools to get to know what people are searching for online. And since I build many websites for myself and my friends and clients, I have a good idea about this market. The cheapest web hosting deal around is GoDaddy’s special offer of $12/year and it comes with a free domain name registration. There’s a reason it is that cheap. It’s a basic hosting and this price is only for the first year. After that you’ll be paying the regular price which is $3.99/month if you pay for 2 years in advance. When I compare it with a iPage web hosting ($2.25/month) I see more than double the price, but I get $200 of advertising coupons to spend with Facebook, Google, and bing! Now this is a good deal. So here is how I would go around it. If I need a personal blog or a I am going to build a money making website and send traffic to it using free methods only I would take GoDaddy’s deal. The cost is less than a medium sized pizza and that’s all. I’ll think about the regular price later when I the year is over. The opposite is true if I want to build a professional website for a client or myself, or a website that’s too commercial to optimize for search engines (no real value for the readers other than finding the product they’re searching for), in that case I’ll take iPage’s deal. $200 of free advertising could be at least doubled if I have an optimized paid-advertising campaign ready. You’ve got the idea, reflect on your own situation. Do you need advertising? Go for iPage. You don’t need the advertising? Go for GoDaddy. Today I found this offer from Siimba to the Canadian market. The offer is $1 for 3-day-trial, and if you link to them on Facebook (they give you the link, not just anyone) and get 3 of your friends to LIKE them on Facebook you get a 7 inch Android tablet (valued $229). The details are important to understand before you sign up. Siimba club is a saving club. As a member you get access to discounts and savings on basically anything you could buy from the market. You know those flyers that come in the mail with weekly deals from the grocery stores? It’s kind of like that but it extends to cover everything you might need for your household. Cameras, cell phones, laptops, tablets, TVs, home theatres, printers, desktops, monitors, home appliances … are just examples of what you get discounts on. Those deals are exclusive, which means you only get access to these deals through your Siimba club’s membership. Don’t worry, it’s not a bad one. Those deals are locked. To Unlock each deal there’s a video ad that comes with it, and you are required to share it (use Facebook, twitter, and Google+ for fastest results) and get a certain volume of views over a certain stretch of time. I am pretty sure you can. Everyone with a Facebook account and some friends can do it. As a single parent I highly appreciate this kind of deals, and I am in a hunt for such. And I highly recommend it. I don’t have to tell you now that Siimba pays me commission, do I? OK, they do. But who cares, you get the deals and I get the commission, it’s a win/win. In one of the rare occasions that I decide to waste 2 hours of my time watching a movie I decided to watch Lucy by Luc Besson. I saw the banner on a bus last year and it caught my eyes. You know, I am into marketing and advertising is part of what I do. And I am glad I did. This movie is genius. Although there is some criticism to the science behind it, still it is a movie that deserves to be watched. The whole idea of synthesizing a compound that is naturally produced by the a pregnant woman’s body and introduce it to adults as a hallucination drug and turns out to be at larger doses a brain enhancer … it just got me. The next time I have enough time to spend on watching a movie with company I will go for this one. Now back to the CPH4 thing. First of all I am a scientist and I hold a PhD in biology. So I think I qualify to talk about this issue. Basically this chemical compound with this name (or abbreviation) is not known to scientists. The director says that it does exist and that he changed its name. Although there is research about the chemistry behind the cell development in embryonic phases, to my knowledge so far there is no such a chemical compound, CPH4 or otherwise, that single-handedly pushes the cells to develop into bones. To make it easier to understand, this power of a compound that controls the development of a group of cells in a certain part of the undifferentiated mass of cells is only given to hormones. Ahormone is like an orchestra conductor. It tells certain cells in certain locations what to do, including differentiation into other types of cells. So no it is not the CPH4 synthase you found (or will find) on Wikipedia. That’s an enzyme, not a hormone. This enzyme synthesizes CPH4 (6-carboxy-5,6,7,8-tetrahydropterin), which is one step in a pathway that produces queuosine (a modified nucleotide found in tRNA both in bacteria and eukaryotes like you and me). Again this can not single-handedly do anything major. tRNA is a molecule involved in the translation of genes into the functional (enzymes or structural) proteins. Nothing extra. A hormone has more power and a wider range of action that an enzyme that facilitates only one reaction, which is a part of a pathways among tens others that lead to one event in the life of a cell. There is a synthetic compound known as CPh4 or C(Ph)4 or tetraphenylmethane (Ph stands for Phenyl, it has 4 of those, attached to one carbon atom). This is not a naturally occurring chemical, it’s a synthetic hydrocarbon that has been synthesized in the lab back in 1898. It is available from chemicals companies like Sigma and is cheap, so it can’t be it. Also it doesn’t dissolve in water and is not blue (there is a blue derivative though). The one in the movie was dissolved in water and introduced to Lucy intravenously. CPh4 above and its derivatives have a biological activity affecting cell membrane permeability through hole transport of electrons and ions (that’s electricity, hence the electrical impulses that cells exchange as a communication method as mentioned at the end of the movie, probably this is where Luc got his idea). With all the respect that Luc deserves as a genius director, I can not rely on his understanding of the scientific literature. However, he said in an interview that he has changed the name of the compound to CPH4 in the movie, and that it is a substance produced in tiny quantities by the pregnant woman’s body at the 6th week of pregnancy. The effect on adults is his movie-director thing, not science. Certainly there must be some roots for his idea. He must have read about one of the known hormones that govern embryo development, then he used his artistic creativity to make CPH4 out of it. The movie is fun to watch, and the idea is both smart one and at the same time touched something in me. It gave me both hope and motivation. Hope in the future in the dark world we are living in right now and a motivation to use all of my resources to the maximum limit, and push it even beyond my current abilities to get the most out of my limited time on Earth. The moral I got from the movie is to “pass it on”. You can watch the movie online legally (not a pirated copy) here. Posted byadmin February 5, 2015 November 1, 2016 Posted infamilyTags: CPH4, Lucy, Lucy MovieLeave a comment on CPH4: Does it exist? If you have visited Amazon.com website recently you would have noticed the announcement of the newest Amazon product: Amazon fire phone, a smart phone designed by Amazon. After creating their top notch tablet Kindle Fire, the only next step that makes sense is to create a smart phone built and operated by their own technology and software. If you have a Kindle fire you can understand why I am super excited about the fire phone. It’s like a dream came true for me and many others. But let’s put my excitement aside, because I am sure this is not what you came here to read about, and let’s focus on the evaluation of the phone itself. In this lens you’ll learn about some between the lines features of the new phone. It’s going to be a personal evaluation of the product from what Amazon has to say about it. An actual review of the product could be available later since the product is still in the pre-order phase at the moment of writing this. I call it 3D. Have you ever dreamt about a phone or a tablet with 3D display? Well … this is what fire phone provides with the dymanic perspective feature. You tilt it and you see the picture from a different angel as if the picture is deep inside your phone. As per the words of one of the first reviewers in the video: it’s like you are looking at a different world as you look at the lock screen. The same feature makes maps more fun than ever. You move the phone or move the map with your touch and the view changes like real world. Now imagine this feature when you’re playing a game on your fire phone. I just watched the video and I can’t wait to put my hand on one of those. And I am not a big fan of games, haven’t been since I turned 26 and I am now 44! You know with Android and iOS to access a menu you touch that with your finger and drag it down? With the dynamic perspective all you need is to tilt it and the menu on that side will show. It’s like real life response to your moves. Now I want you to think about the times you tried to open a menu at the top of your Android or iOS holding your phone in one hand and using your thumb to touch the menu and drag it. How many times you were about to drop it (if you haven’t already)? With this feature in Fire phones you can just tilt it and the menu will open. So instead of touching the screen just move the phone as much as you want the scrolling down spead to be and just read. You don’t need to use fingers any more, except for choosing from menus I guess. My personal concern right now is that I might not want the phone to keep responding to all the moves I do. Mayble I want to check my watch (really I don’t know why I check time in my hand watch although it is in front of my eyes on the phone) and I don’t want to keep having things popping up on my screen and tilting it right and left to get rid of them to continue what I was doing. If so, is there an on/off option for the dynamic perspective? If you are switching from Android don’t worry about missing your favorite apps. Fire phone runs android apps as well as it’s own. I’ll never forget the disappointment when I got a black berry and wanted to install Skype on it! Any one? 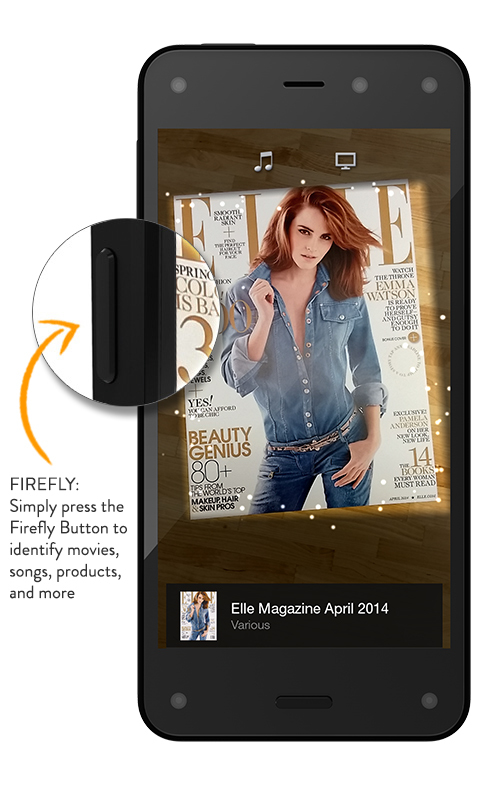 The fire fly app recognizes the photos, video clips, audio and tells you where they came from. 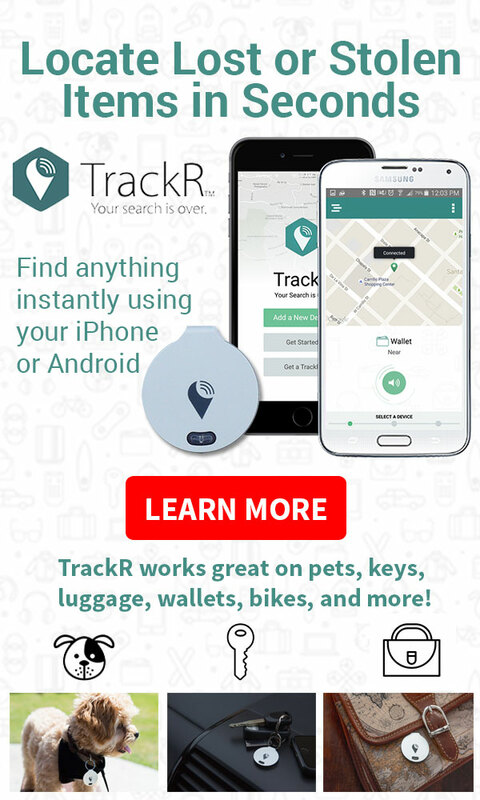 It can give you the phone number and email address of a business that you just scanned with your phone. This is how a smart phone should do. It’s like a smart search engine (sorry Google, didn’t mean to offend you). At the price point of fire phone 32GB you can only get a 16GB Samsung 4 Android or an iPhone 5, and you don’t get this amazing dynamic perspective technology. Add $100 and you can get a 64GB, that’s enough to forget about any flash or SD storage medium. Imagine the amount of movies, pictures, or just any files you can store on that. Do you know that some of the MacAir laptops have 64GB drives? My question would be: how much of that storage space is taken by this sophisticated operating system? The processors and the RAM gives you the experience of flowless computing. And the camera together with it’s software gives better photography. The good feature about the camera that it has it’s dedicated button. Have you ever wanted to take a picture of a squirrel eating an icecream cone and by the time you unlocked your phone, found the camera app, and got the phone ready to take the photo the squirrel was done eating the cone already? Ok I know not because it happened to me it could happen to you as well, but you got my point. With the dedicated button you just point and shoot, like a stand alone camera. This really smart fire phone has set the bar really high this time. The astonishing features of the new Samsung 4 and iPhone 5 had their impact on the new best of all fire phone. I am sure that the next Samsung 5 and iPhone 6 will have even more amazing features to be able to compete with this. And at the end of the day you are the winner out of this competition.